Buy with confidence - These units are not parallel imported. We are authorised NZ distributors and have full backup from Raymarine NZ. 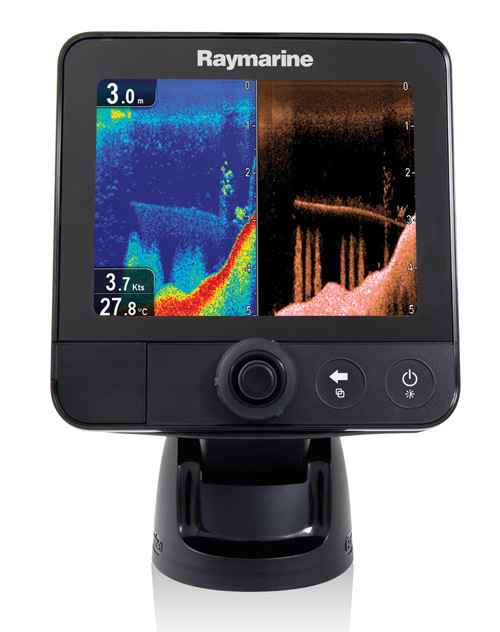 Raymarine's award winning CHIRP DownVision technology gives anglers underwater vision so close to reality, we call it Visionality! Just power on and fish! Dragonfly includes two discrete CHIRP sonar channels. The first is an ultra-high resolution DownVision channel and the second is a high-resolution fish targeting sonar channel. 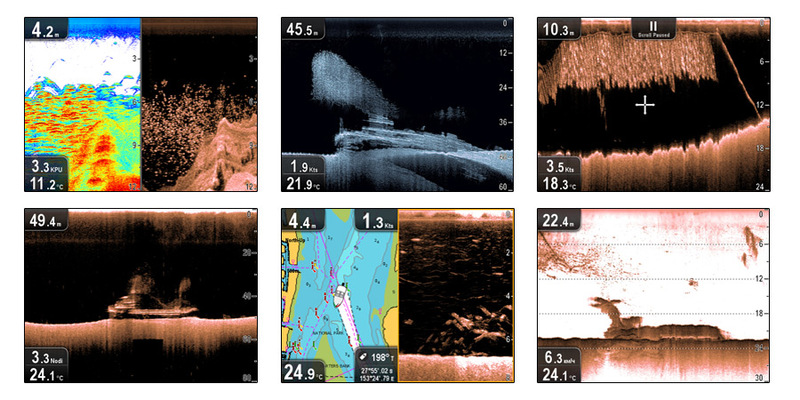 The amazing sonar imagery above is from actual Dragonfly owners. To see more of Dragonfly's real world performance please visit our media area. Capture a great shot on your Dragonfly and you could win back the cost of your display. Plus we have lots of free Dragonfly accessories to give away. Find out more about our screen capture competition here. Whether you are a professional guide or weekend bass angler, you will appreciate Dragonfly’s cutting edge sonar performance and simple operation. Simply dial through sonar and GPS displays and quickly become a Dragonfly expert. Dragonfly utilises dual-channel CHIRP transducers. DownVision produces a 60° side-to-side and 1.4° fore to aft beam. The second element provides a conical shaped beam for imaging fish targets, ensuring you will never miss any of the action below your boat.